It is with great regret that we inform you of the ways in which the industry wishes to ruin your enjoyment of high definition movies or gaming at home. If you’ve ever watched 720p or 1080p games or movies, you know how amazing it is. At 5 times the resolution of normal television, it looks fantastic. And the quality of the movies on a Blu-ray or HD-DVD disc is even better, because of less compression. We want it, and you want it. Right? Well, there’s just one problem. The movie and gaming industry assumes you are a criminal, and has added technologies to PS3, Blu-ray and HD-DVD player’s digital output that vastly restrict your potential enjoyment of their HD content. How old is your HDTV? If you bought it prior to 2005, and there are many millions of you who did, the MPAA thinks you shouldn’t be able to watch HD movies in high definition. They are insisting that your TV supports digital encryption via an HDMI port or an HDCP-compliant DVI port, which these earlier TV’s lack. If you have to stoop so low as to hook up your shiny new player or ps3 via, God forbid, analog (component), the industry thinks you’re not worthy. There’s a fun little surprise they built in to Blu-ray and HD-DVD for people just like you, and it’s called the Image Constaint Token. If it’s enabled on a movie, and your connection does not support HDCP, then the movie is downsampled to 1/4 its native resolution, which is essentially the same as a standard DVD if not a black screen. 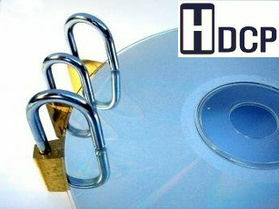 Thinking about buying a new HD-DVD or Blu-ray drive for your computer? Or a Full HD (hdmi) graphic card ? If you want to use them to watch movies, think again. You’ll need to buy a lot more than just the drive and the graphic card. You’ll need to open up that wallet of yours for a brand new HDCP-compliant monitor. Notice the word compliant. That is very important. There are some products that just claim to be HDCP “compatible”, but they will NOT work for viewing high definition movies. Even if your RGB display (PC monitor, LCD, Plasma, Projector, HDTV) is technically able to display 720p or 1080p. Blu-Ray Player, HDMI graphic card or PS3 will refuse to output any HD content on it. The specifications of your bought display are “downscaled” by the industry, and it won’t change till you buy a new one. Finally, while we’re all in lynch mode, let us add the last anti-hurrah. Any RGB displays without HDCP, also known as most TV/HDTV/Monitors/Projectors in the World, are subject to the exact same problem. In 2004, HDTV penetration in the US was estimated at 10 percent. Of those TVs, most of them do not support HDCP (although TVs sold today do, by and large). Estimate for HDTV just in the U.S is around 3 to 6.6 millions units. World estimate for RGB displays that are technically able to display 720p or 1080p including PC monitors would be near hundred of millions! The fact that the industry is pushing hundred of millions of displays in a trashcan is against any environmental logic! However, if you’re heading out this weekend to drop US$3,000 on a TV, chances are high that it will support HDCP. The same can’t be said of monitors, sadly. Apple’s US$2999.99 30″ display doesn’t support HDCP, and only a handful of Dell’s various options do. If you’re in the market for a new display, you might want to wait until some units are shipping with HDCP support. The revolution will be televised, only it won’t be in HD unless your pockets have paid for a brand new display.